The President of the Republic of Korea, Mr. Moon Jae-in and his spouse concluded their three-day State visit to Vietnam, from March 22-24, 2018. 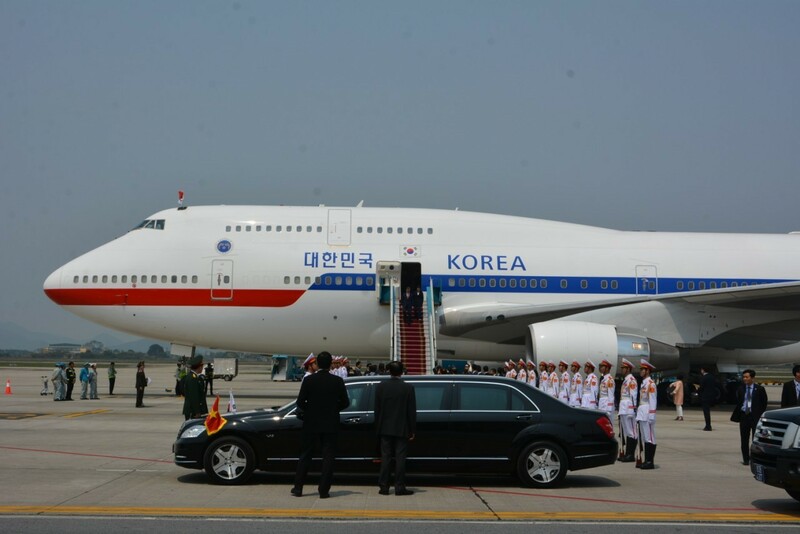 VIAGS Noi Bai is honor to provide the ground handling services to this VIP flight at Noi Bai Airport. 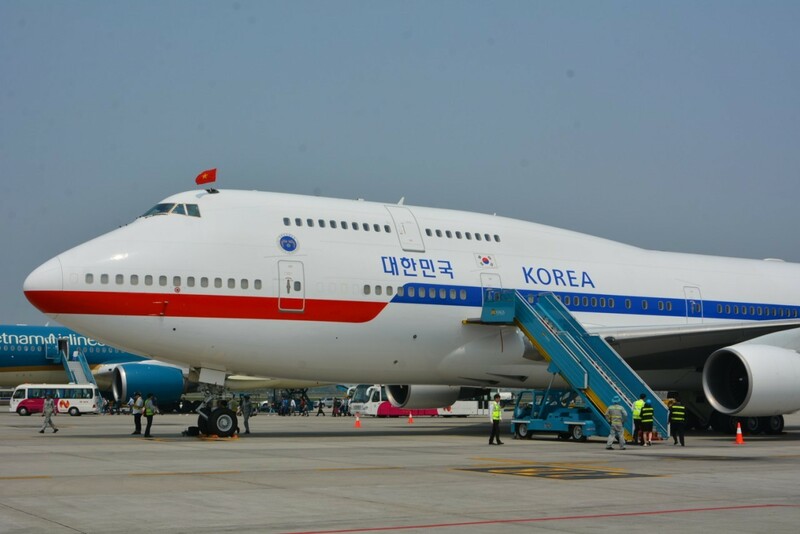 With more than 1,700 employees and more than 600 facilities serving the ground, including a wide range of modern equipments, VIAGS NBA is proud to be selected for providing ground handling services for VIP flights of senior leaders from many countries around the world including Korea, Japan, China, Thailand, etc. 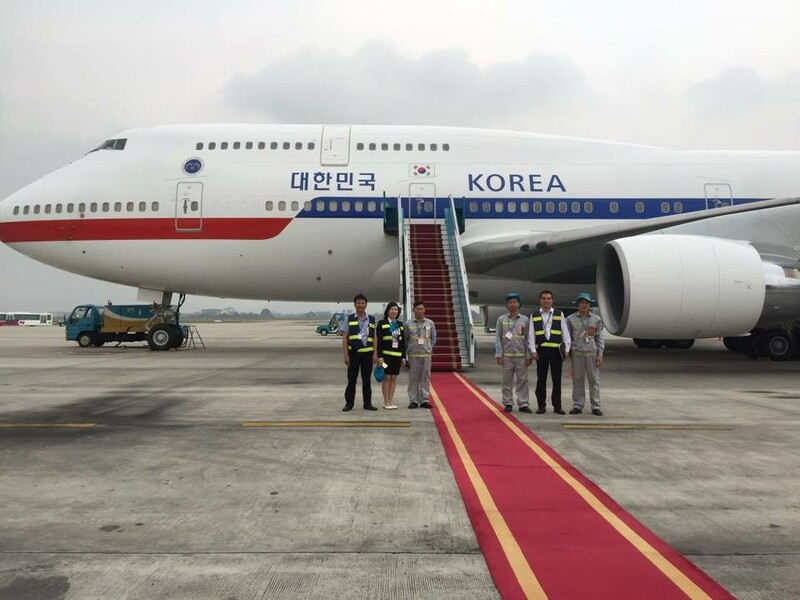 Ensuring the safety of flights and the constantly improving of quality, VIAGS Noi Bai always meets the strict requirements of the airlines, especially for VIP flights. March 28th, 2019, Zhejiang Loong Airlines and VIAGS Noi Bai officially marked the cooperation by the event “Welcome the first flight of Zhejiang Loong Airlines” served by VIAGS NBA at Noi Bai International Airport. On January 22nd 2019, Vietnam Airport Ground Services Company - VIAGS, Noi Bai Branch won the award of best performance ground handling company between 2014-2018 from Asiana Airlines. January 19th, 2019, My Jet Xpress Airlines and VIAGS Noi Bai officially marked the cooperation by the event “Welcome the first flight of My Jet Xpress Airlines” served by VIAGS NBA at Noi Bai International Airport. November 29th, 2018, Tway Air and VIAGS Noi Bai officially marked the cooperation by the event “Welcome the first flight of Tway Air” served by VIAGS NBA at Noi Bai International Airport. 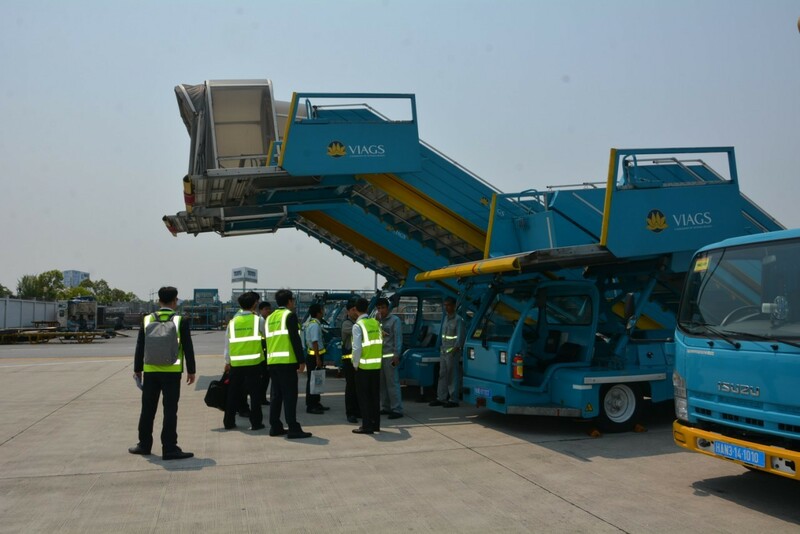 Vietnam Airport Ground Services Company Limited (VIAGS) is established on 01/01/2016 on the basis of merging three ground service providers NIAGS, DIAGS and TIAGS. 5th Floor, Vietnam Airlines Office Building, Tan Son Nhat International Airport, Tan Binh District, Ho Chi Minh City, Vietnam.